This week, Spring has finally sprung! Looking for a new piece to infuse some spring color into your wardrobe? 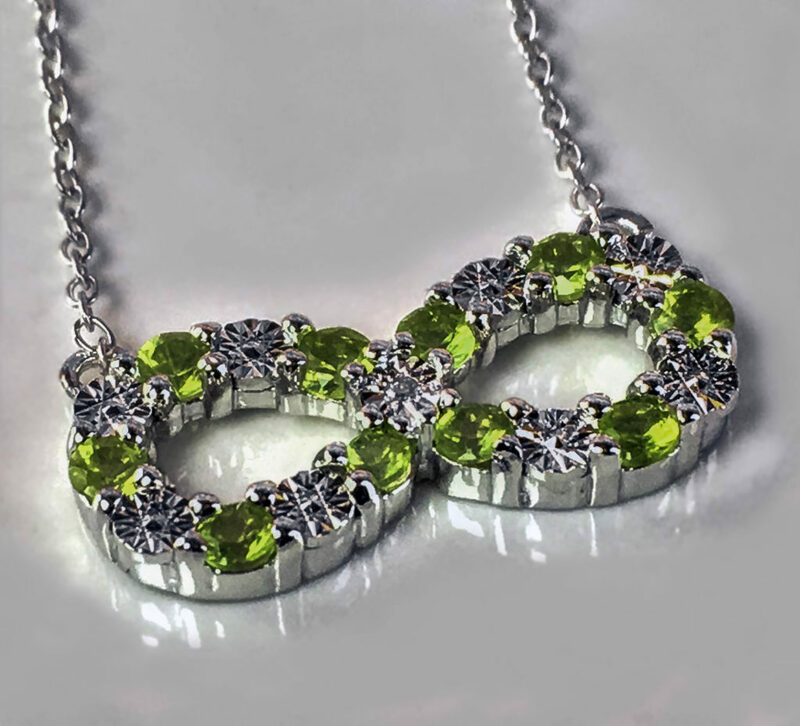 Peridot is a highly versatile color that matches most pastels and brights, making it an ideal signature piece gemstone. 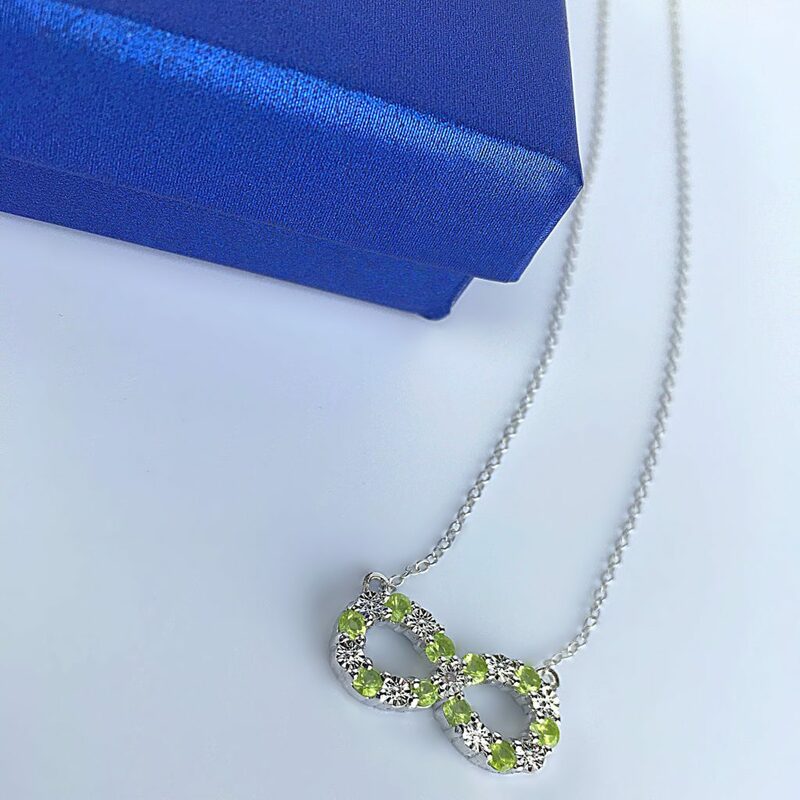 This Gem Stone King Infinity Necklace combines a timeless symbol with the beloved sparkle of a diamond and the vibrant, fresh appeal of Peridot for a classic yet modern piece. What does this popular symbol mean? Long known as a mathematical symbol, the infinity symbol, AKA the lemniscate, is used to represent several abstract concepts. 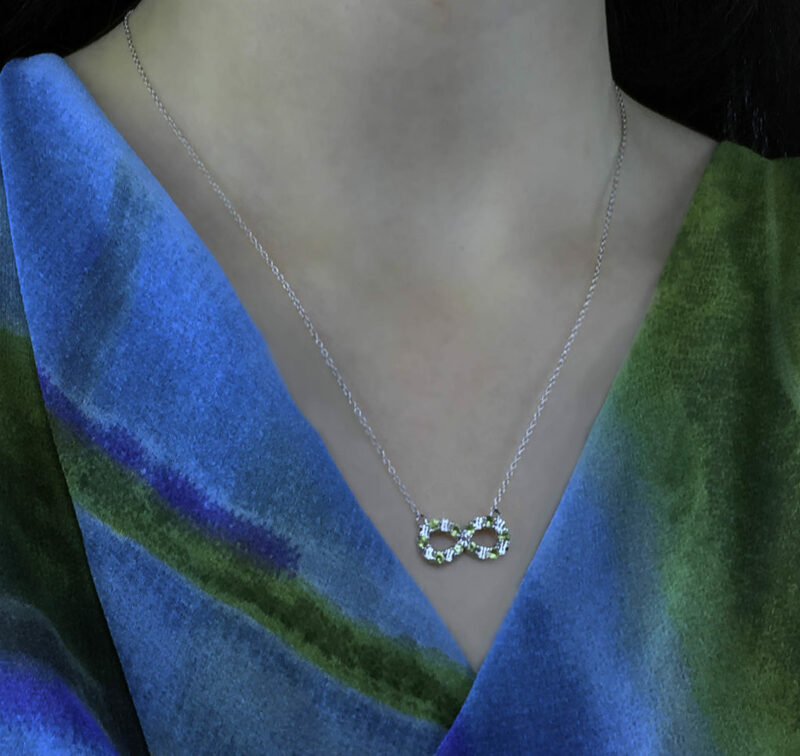 For some, the infinity symbols’ two sections represent two people or elements intertwined with no beginning or end. 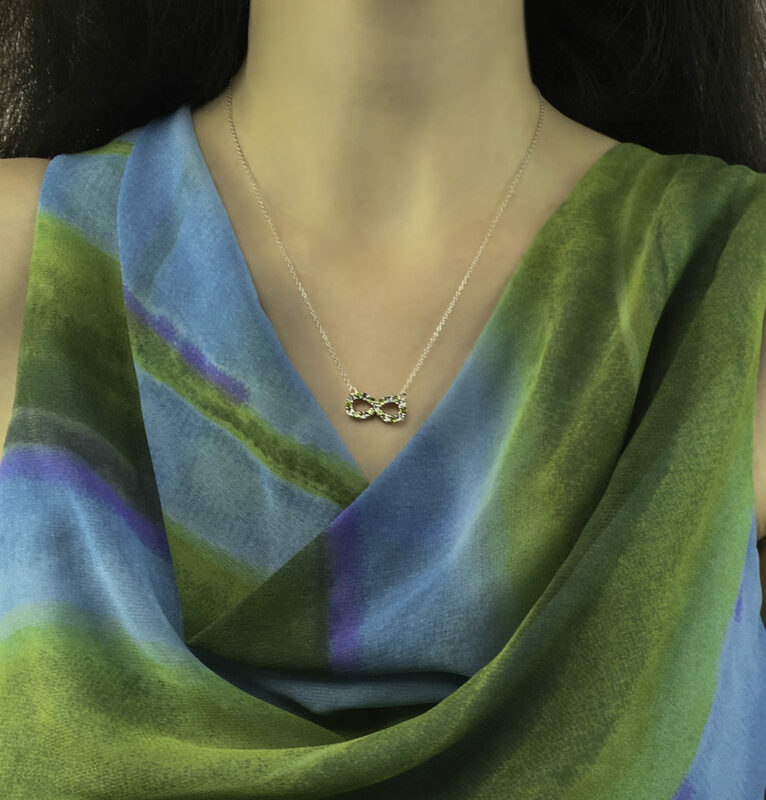 The symbol is commonly used in jewelry as an expression of endless love or hope, or a continuous connection, loyalty, limitless opportunity, vitality or that something will last forever, whether a faith, friendship romantic relationship or some other bond. 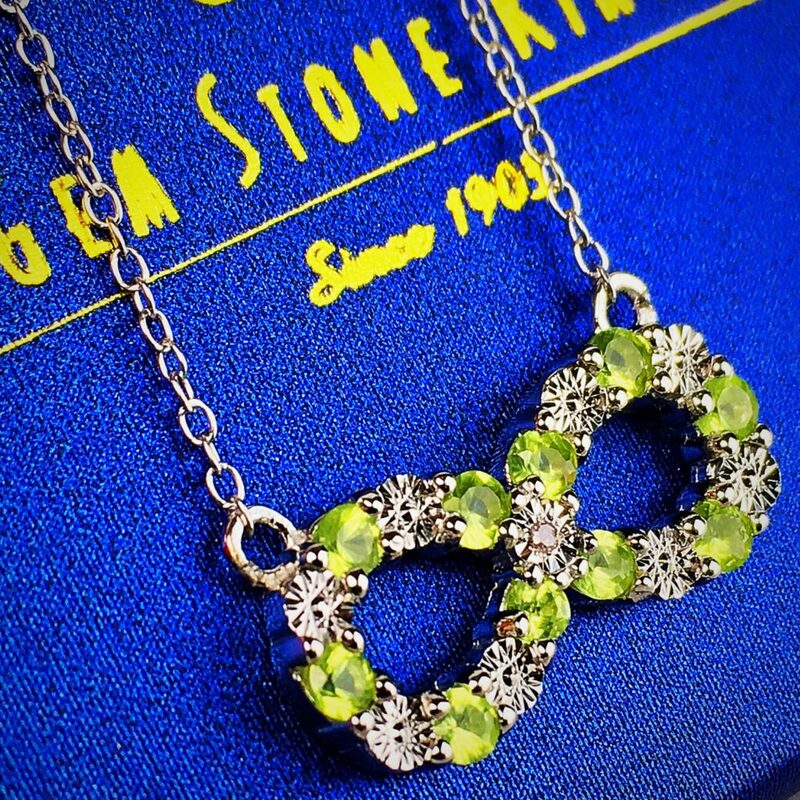 Gem Stone King pairs the Infinity Necklace element with Peridot, a gemstone with a lime green color symbolic of renewal of life and nature. This makes sense as in the spring when everything is fresh and green again. 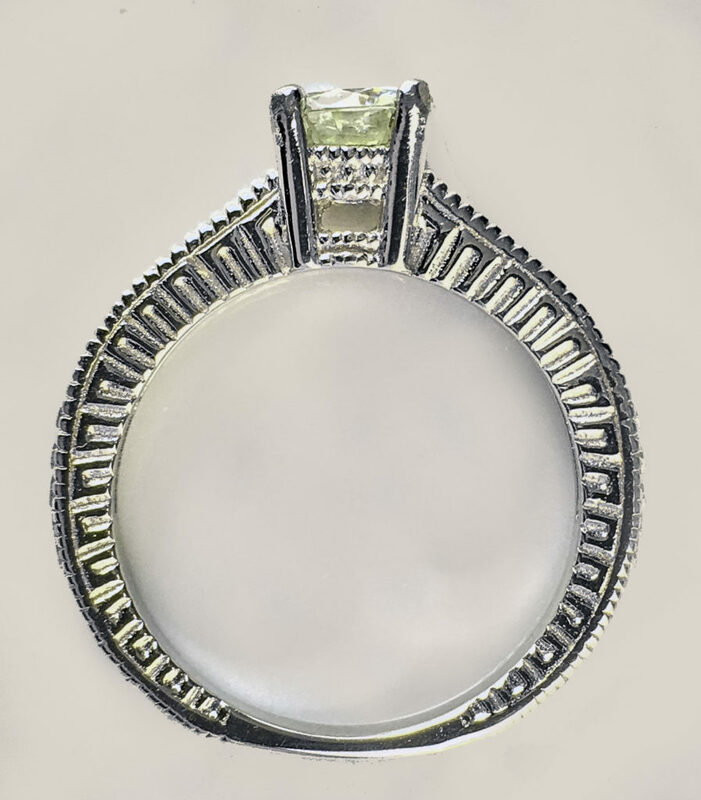 Peridot is also associated with dignity and protection. 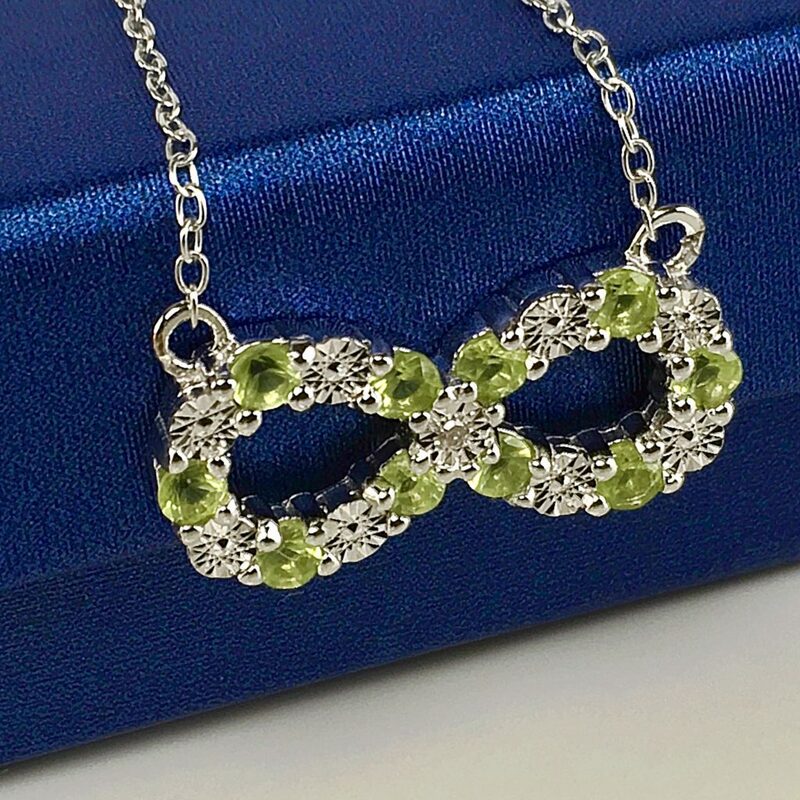 These factors all make Peridot a highly complimentary gemstone for the symbolism associated with an infinity necklace. The pendant is comprised of a chain and focal piece. 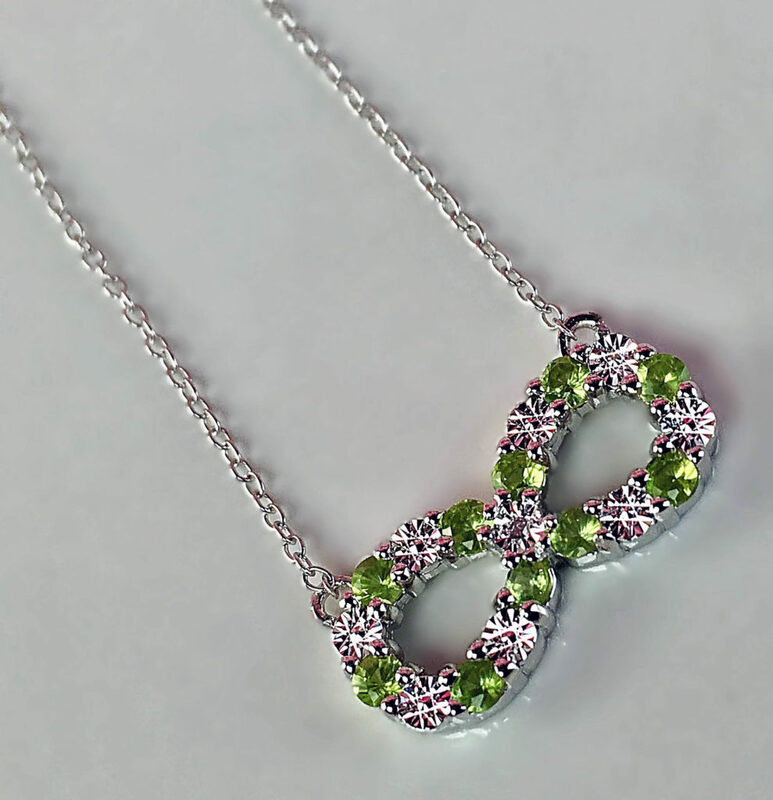 The focal piece is the Infinity Symbol adorned with alternating gemstones. The Infinity focal piece is 16 millimeters by 17 millimeters. 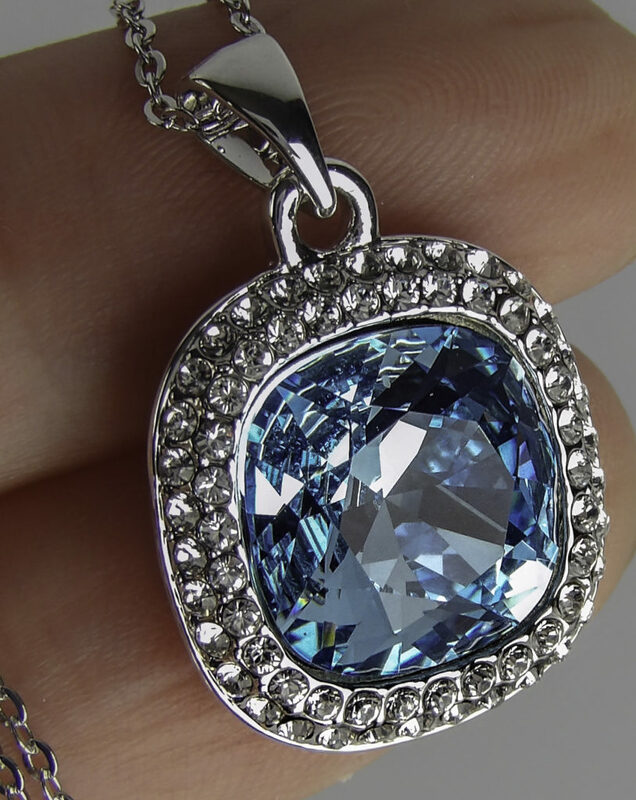 The gemstones are 0.83 carats total weight. 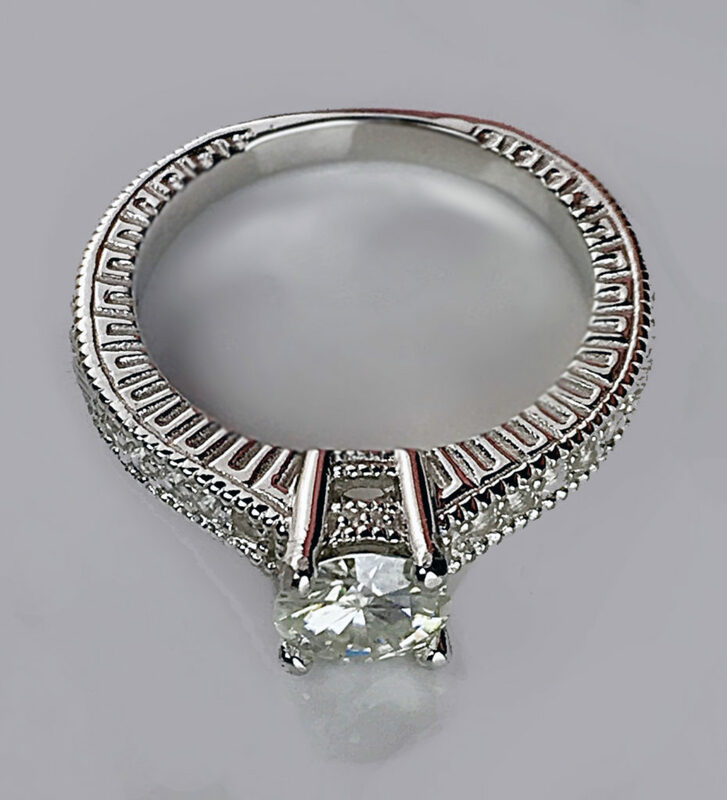 There are eleven total round cut, natural stones in an alternating pattern with a center natural diamond stone. 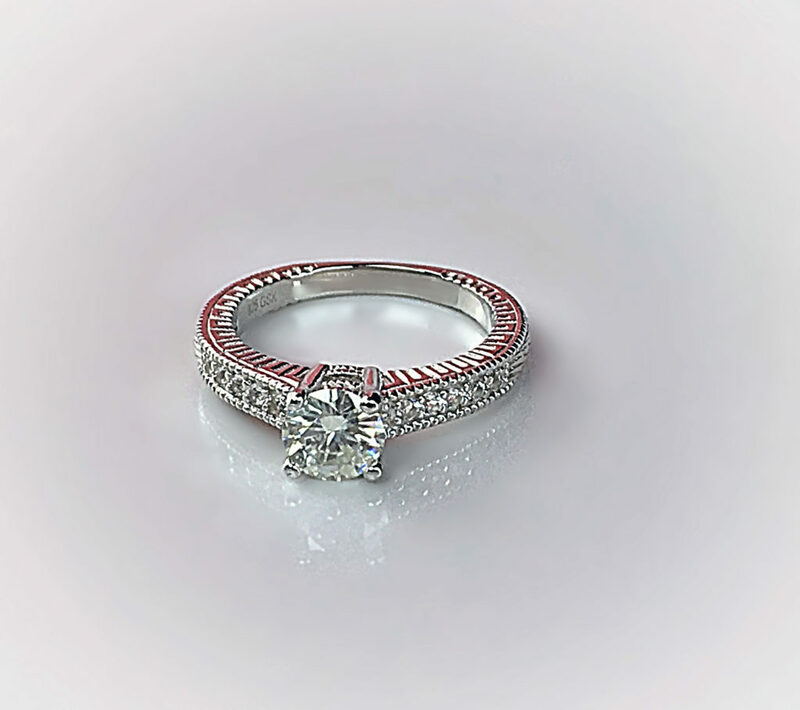 The round cut enhances the sparkle factor of each stone. All Gem Stone King natural diamonds are conflict-free. 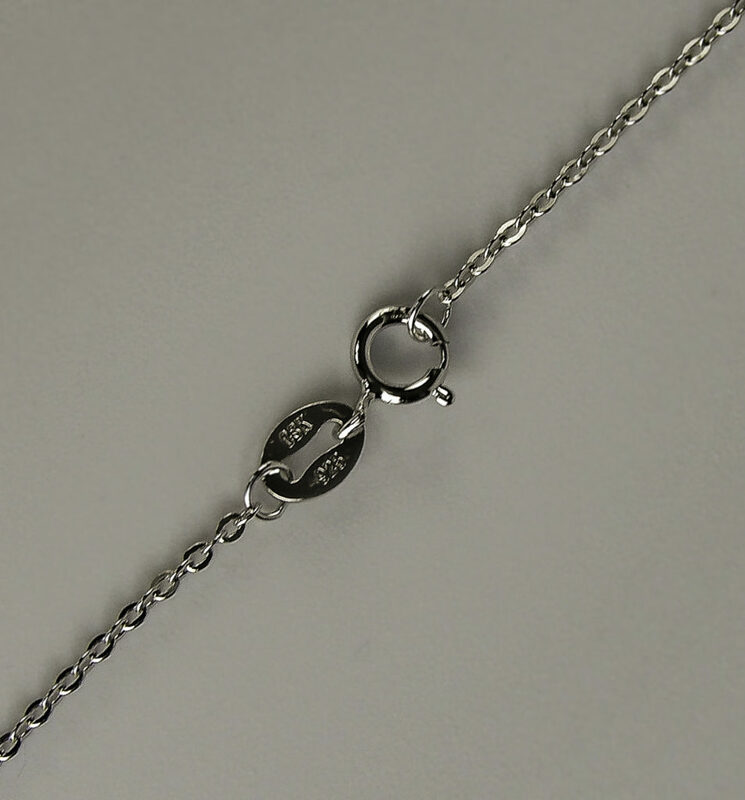 The cable style chain is .925 Sterling Silver with a spring ring clasp. It is 16 inches long. 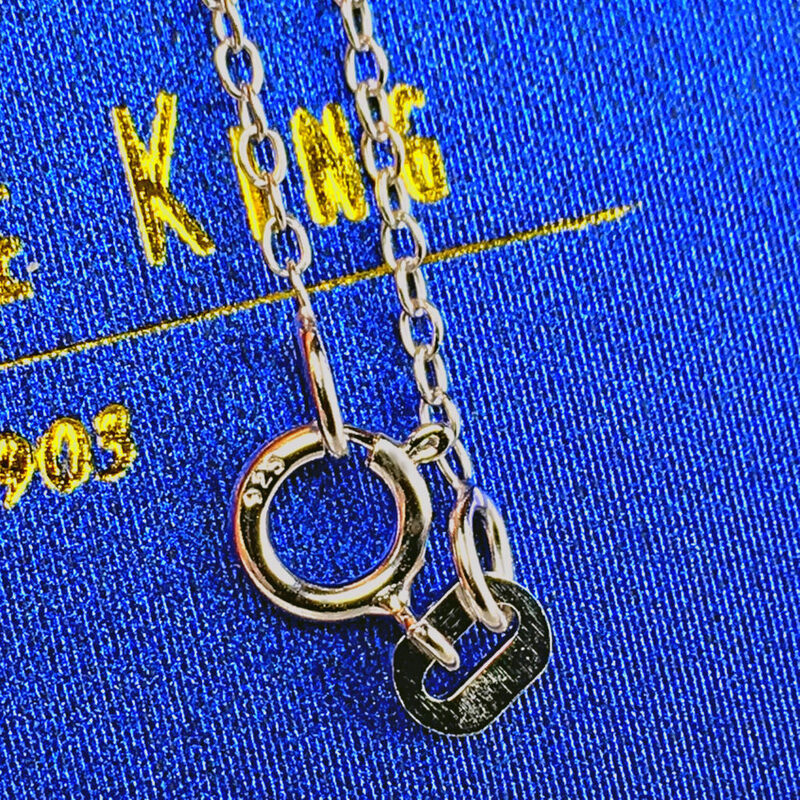 The clasp is sturdy. 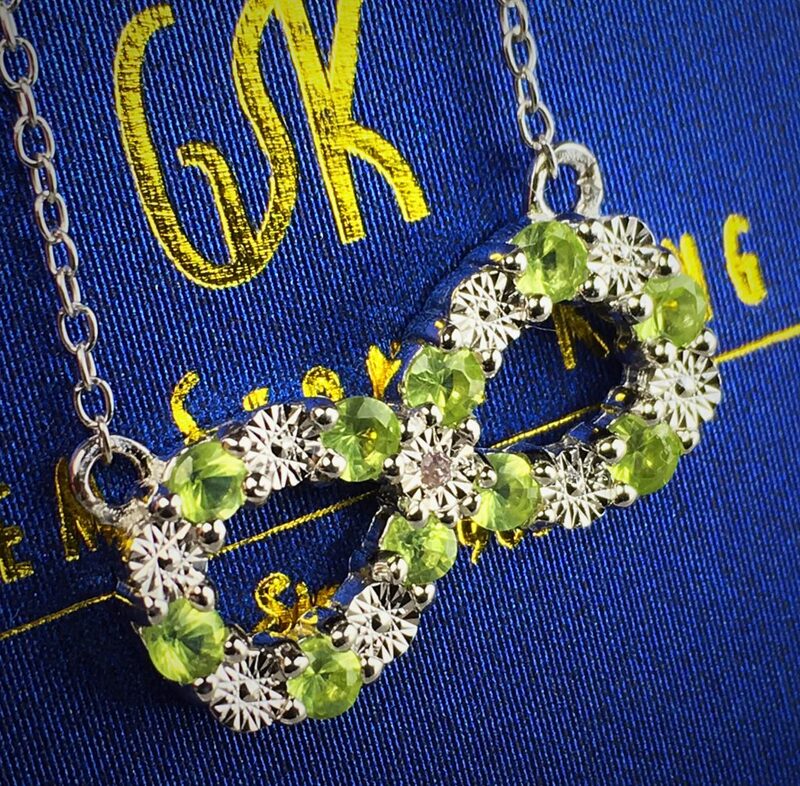 The Sterling Silver reflects and sets off the sparkle of the diamonds nicely and enhances the clarity of the peridot. 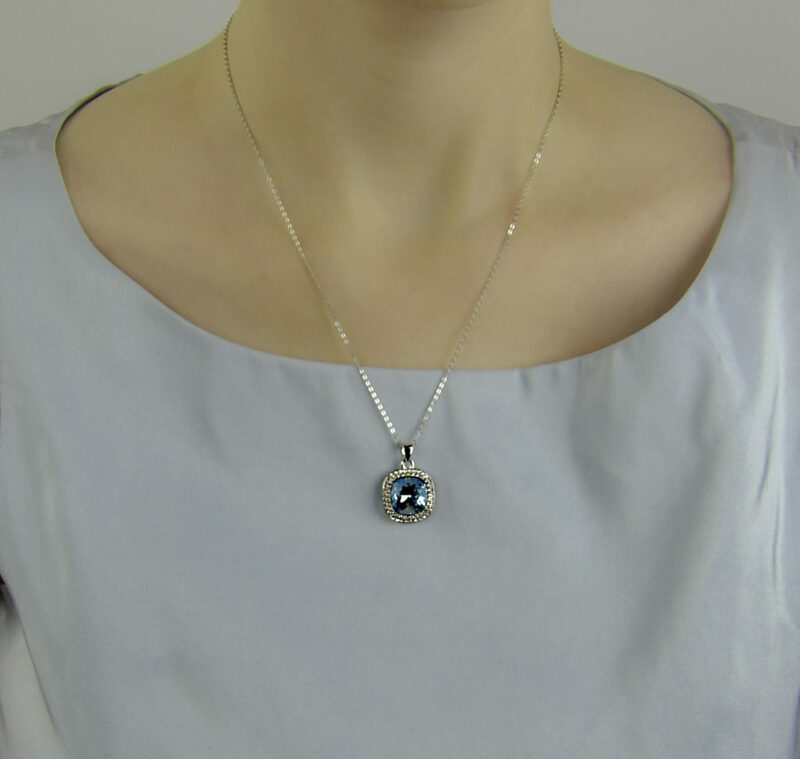 The pendant is gift boxed in a crisp presentation style blue Gem Stone King gold logo box with velvet interior lining. The box is durable enough to be used for item storage. 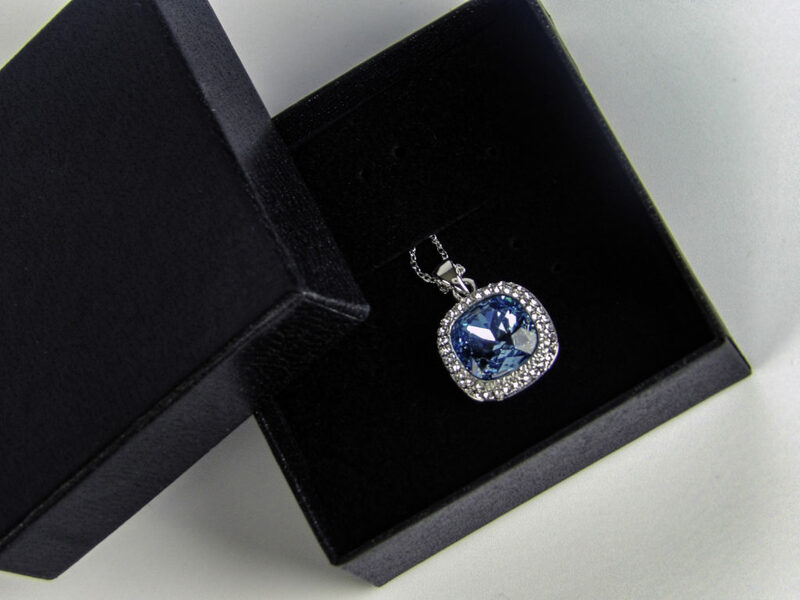 The actual necklace comes double-bagged and sealed within the box to keep it safe from scratches, dust or damage until you are ready to give it as a gift. 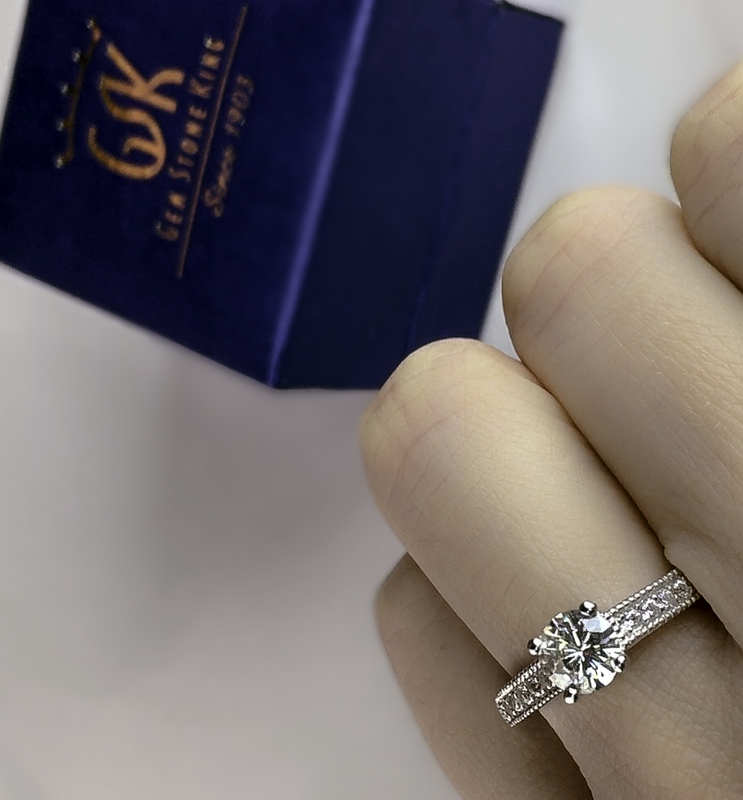 All Gem Stone King diamonds are conflict-free from authorized sources with a Kimberley certificate. 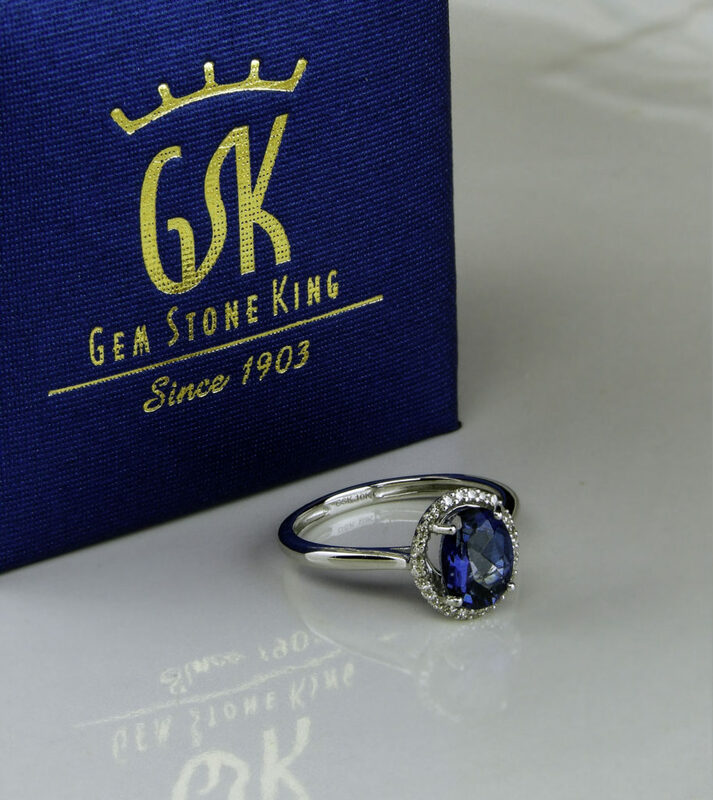 The Gem Stone King family has been in the diamond business for over 100 years. As a New York City-based diamond wholesaler, Gem Stone King oversees local production to keep costs low while employing old world methods with modern technology. 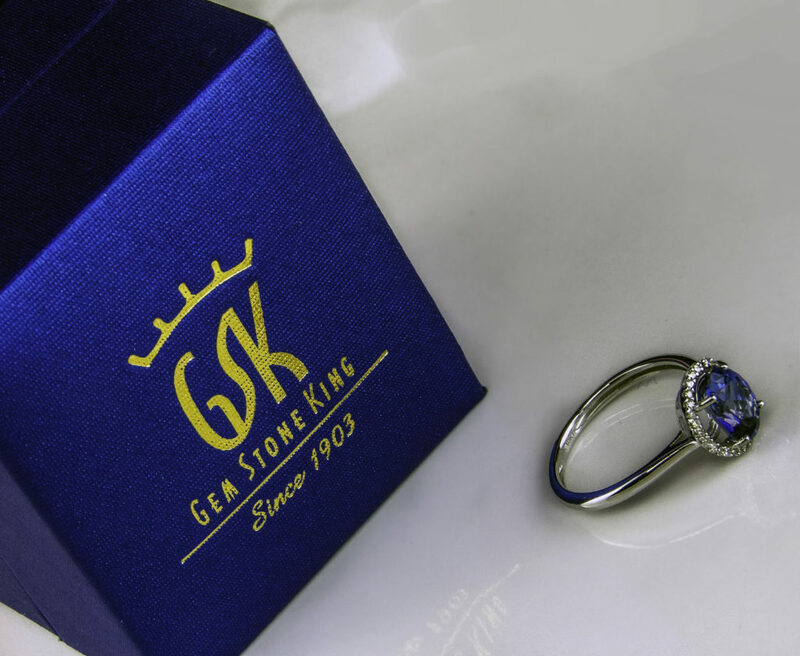 By keeping costs low and selling online, Gem Stone King can offer jewelry with higher-quality gems, materials, and construction at a more favorable price point. 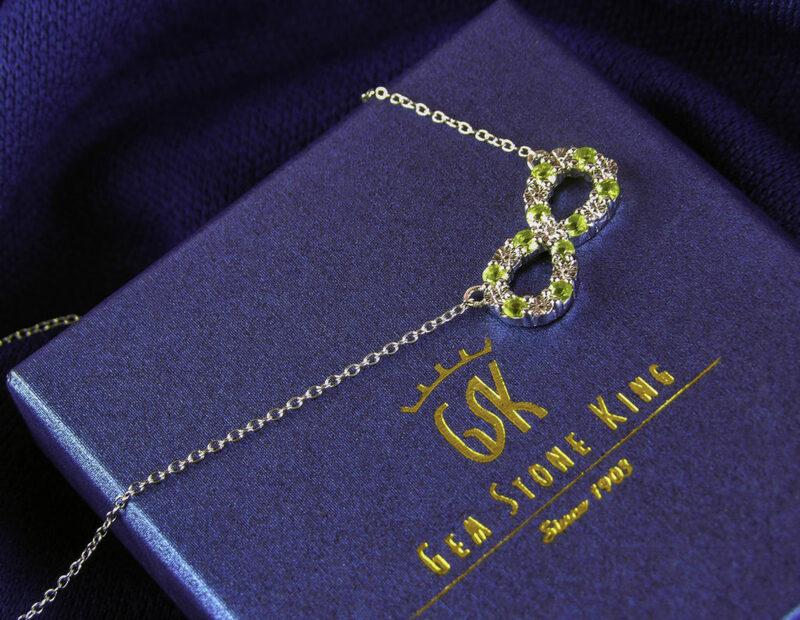 The Gem Stone King Infinity Pendant featuring Peridot and White Diamonds on a .925 Sterling Silver chain is a lovely gift to denote a limitless bond in a relationship. 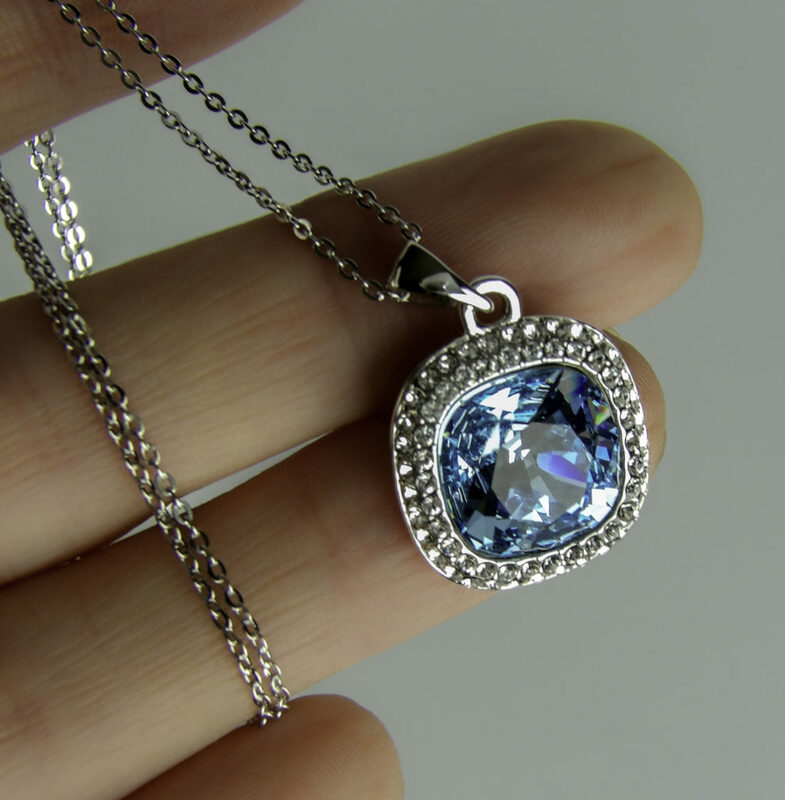 Its timeless style, durable materials, construction, and gift box makes a great gift for a friend, girlfriend, mother, daughter or sister. 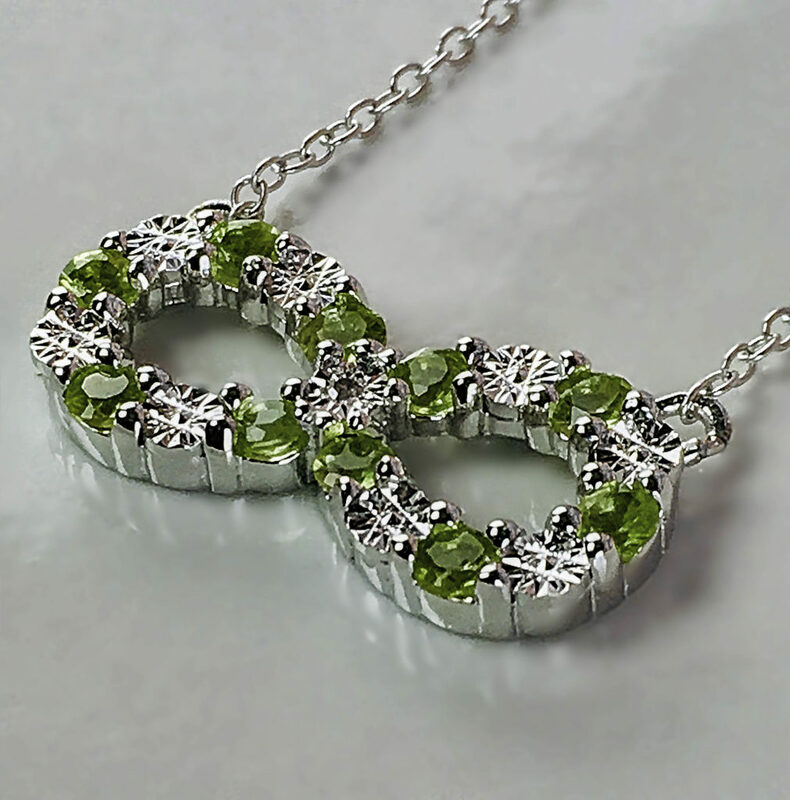 The combination of round cut Peridot gemstones, Sterling Silver and diamond has a lovely sparkle! 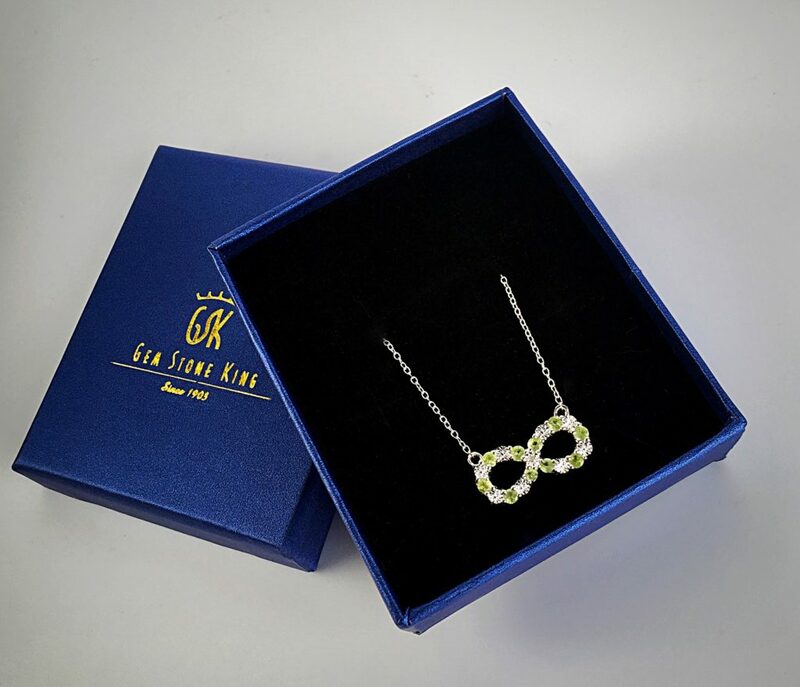 Style Chicks received the Gem Stone King Infinity Pendant featuring Peridot and white diamonds on a .925 Silver Chain in exchange for our unbiased review and received compensation for our time and effort. However, our experience with the product and the opinions expressed in this review are 100% ours. 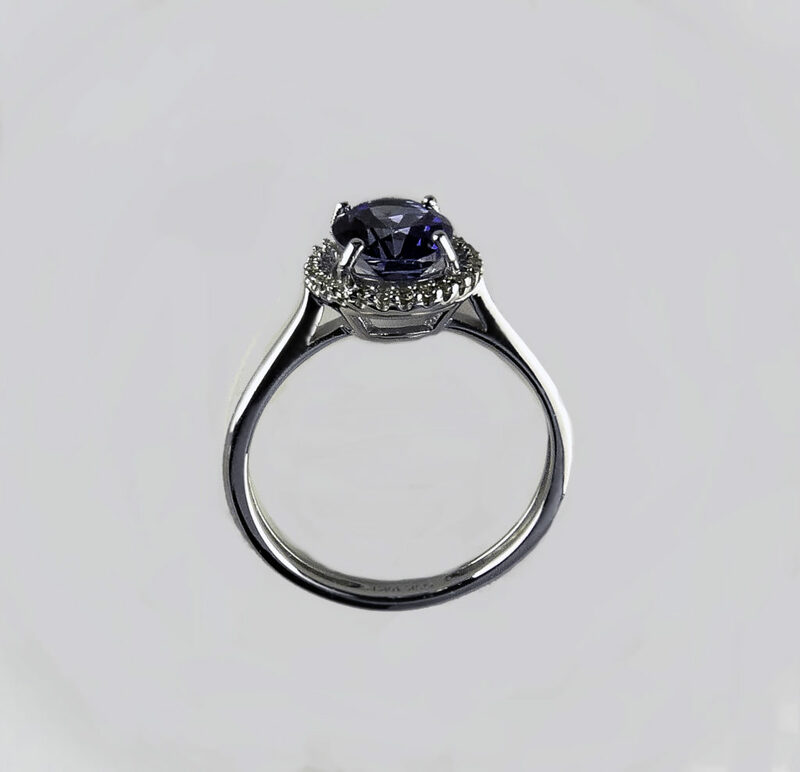 The sapphire and diamond engagement ring worn by the late Princess Diana and now Kate Middleton is perhaps amongst the most well-known examples of an engagement ring that does not feature a diamond as the focal stone. Colored engagement rings have become increasingly popular to show individuality and to own a distinctive piece of jewelry. 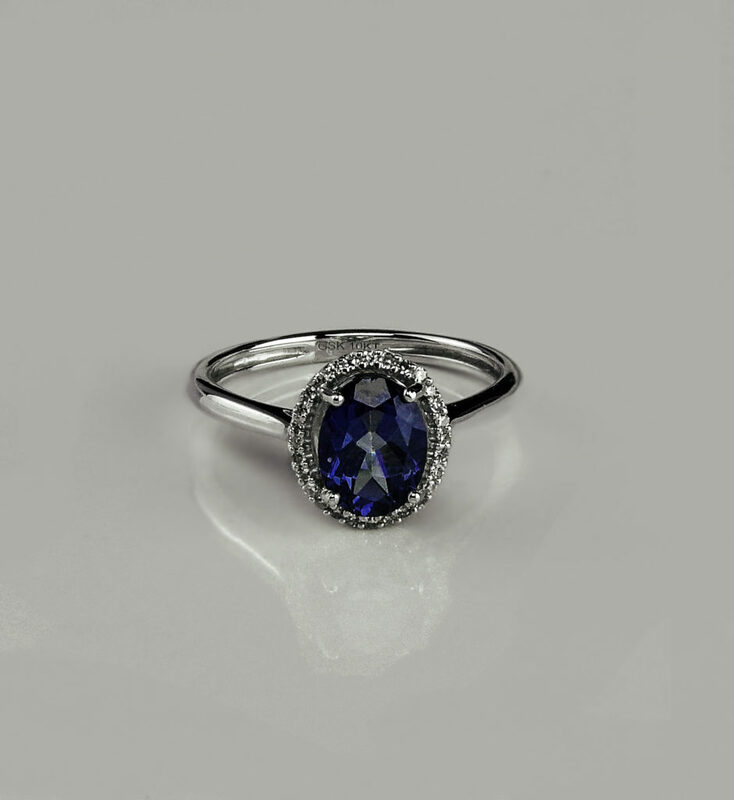 The Gem Stone King Blue Mystic Topaz Diamond Halo with 10K White Gold engagement ring retains a traditional engagement ring look while still having a unique and modern vibe. We tend to think primarily of diamonds for engagement rings, but this concept only became popular around 1900 as part of a jewelry company’s clever marketing campaign. 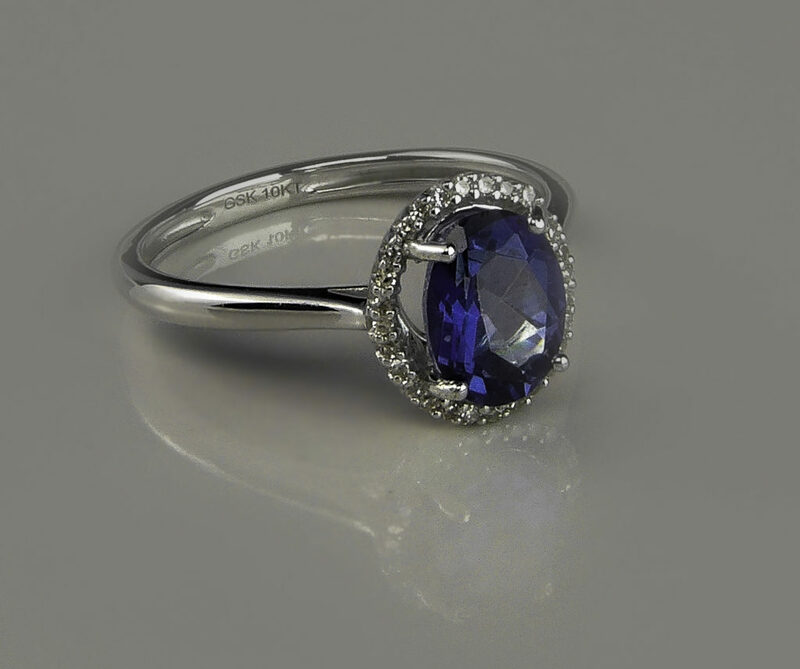 While the sparkle of a diamond cannot be denied, other stones can be just as timeless and beautiful. Many gemstones even have more vibrant reflective properties than diamonds, catching the light in a way that makes for lovely rainbow-like reflections. 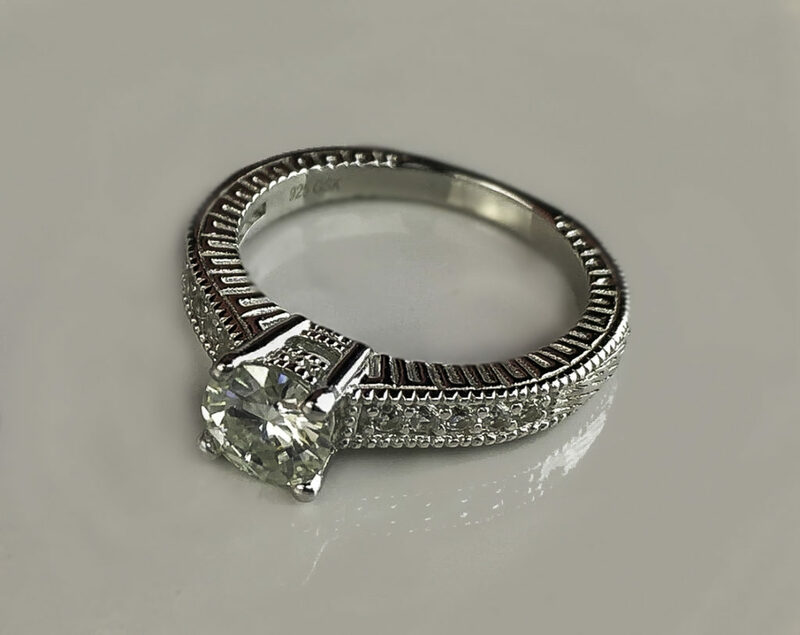 You may wish for an engagement ring that is a bit different and special, but at the same time be cautious not to choose something so modern that its’ a trend that will quickly look outdated. 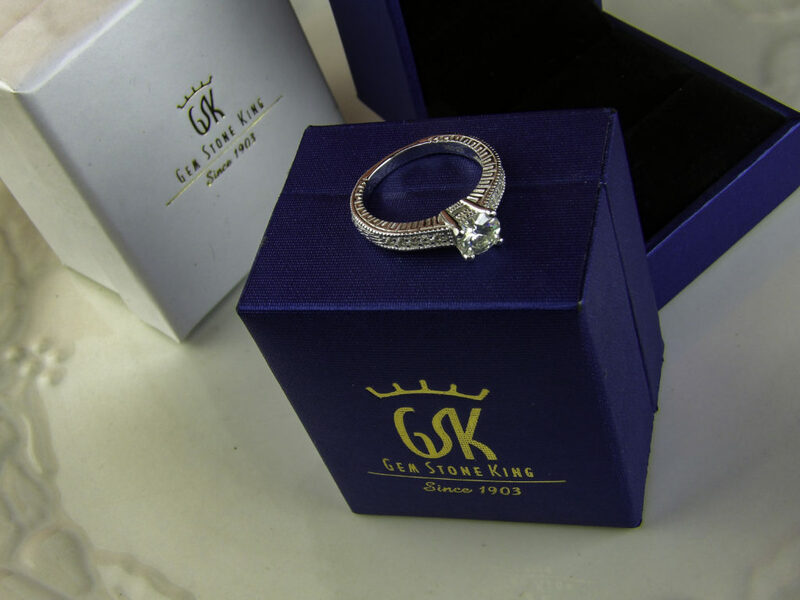 Gem Stone King specializes in blending tradition with modern styling, resulting in an elegant timeless look that is still appealing to a younger, sleeker woman. 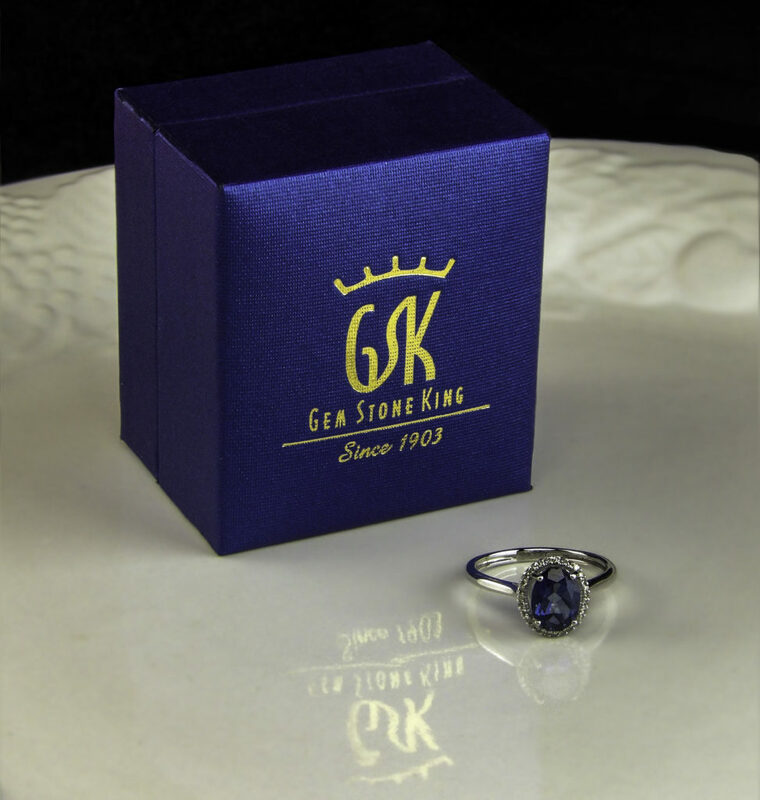 The Gem Stone King family has been in the diamond business for over 100 years. The president is a fourth generation diamond merchant. 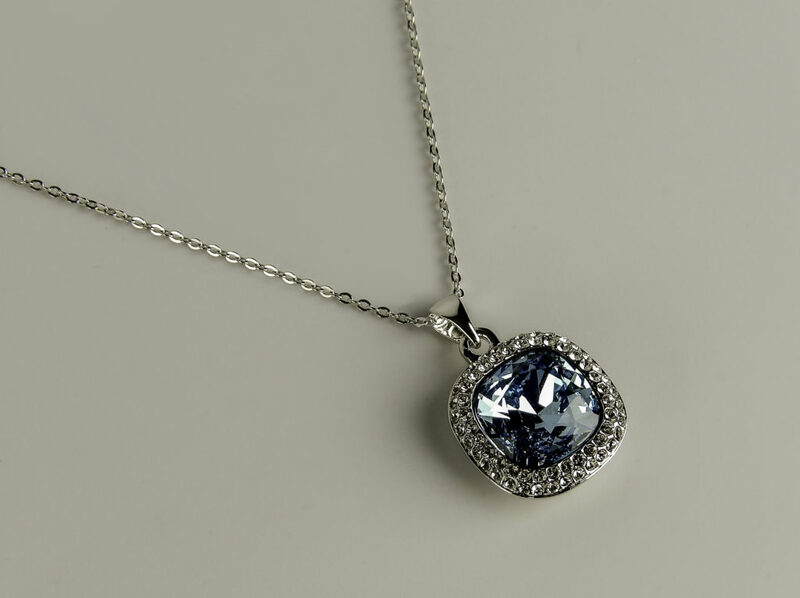 Based in New York, New York, and their jewelry is mainly manufactured in the United States. Gem Stone King oversees local production to keep costs low while employing old world methods with modern technology. The result is jewelry that is sleek enough for modern, young tastes while retaining a traditional design that is timeless. 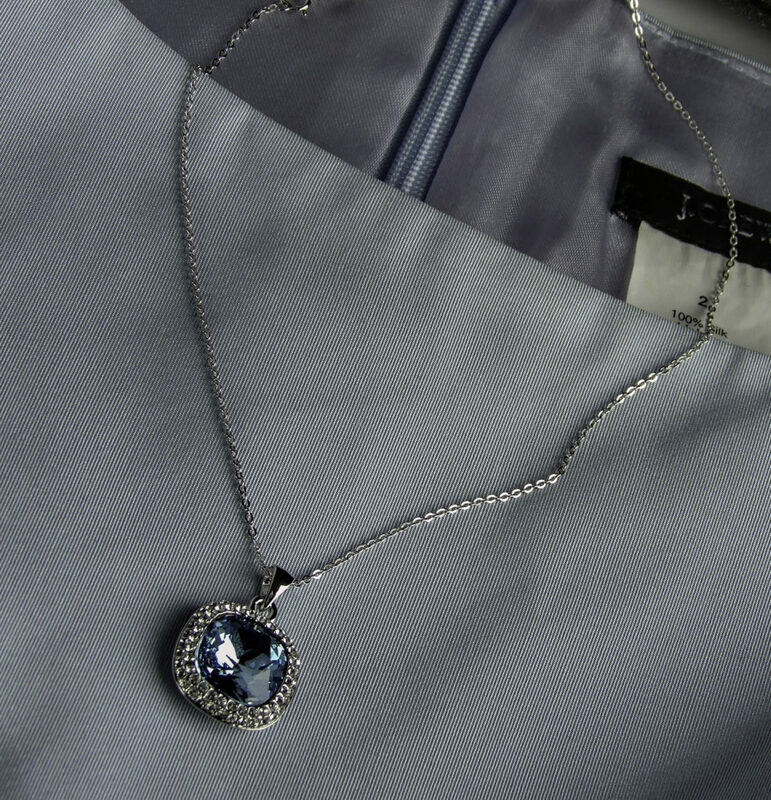 Blue sapphires, like Princess Diana’s engagement ring, are an elegant and versatile choice. 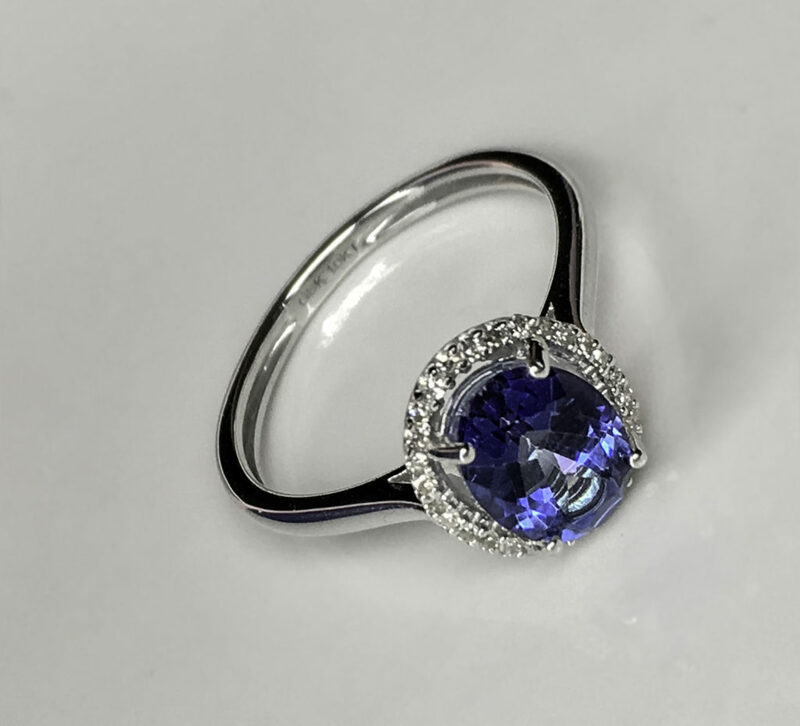 One consideration about sapphires is that they can be such a deep hue of blue that they appear almost black or even opaque in some lightings, meaning there is less sparkle than may be desirable for an engagement ring. 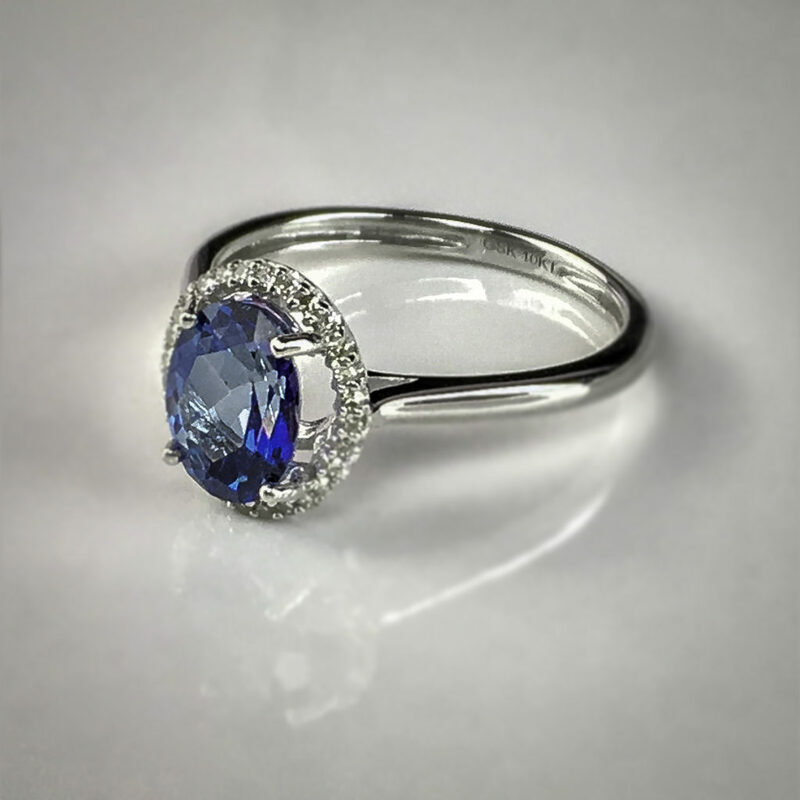 This Blue Mystic Topaz gemstone has the intensity of a sapphire without the darkness, rather it has a beautiful ocean blue clarity that many people seek in a blue gemstone ring. 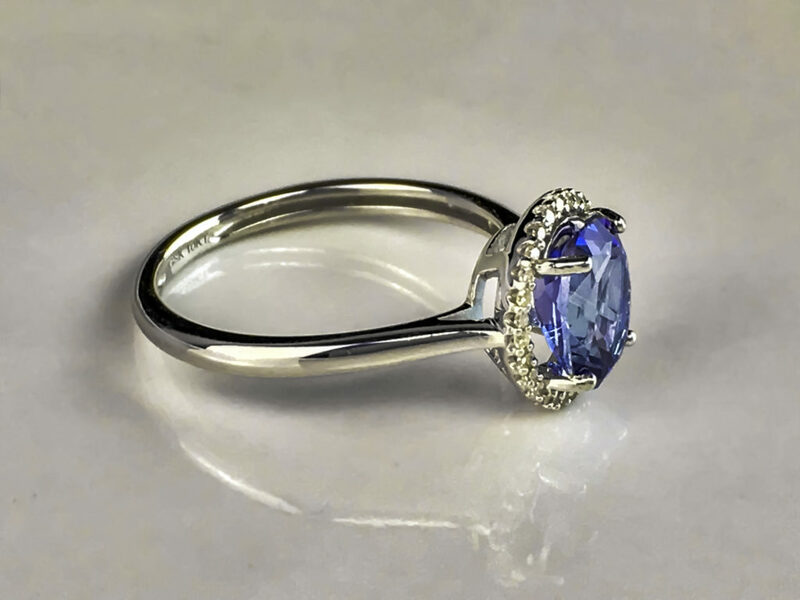 The focal gemstone of a Blue Mystic Topaz of this Gem Stone King ring is called Tanzanite Blue, which is not quite as dark as a natural sapphire. 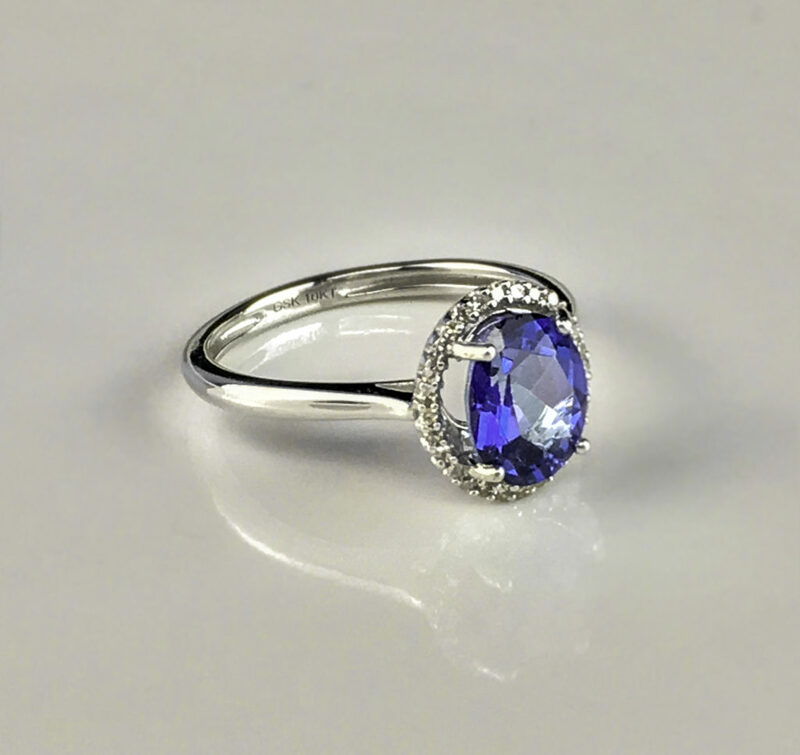 A Mystic Topaz is brighter than a sapphire, but not an unnatural looking bright such as the royal blue shade that often occurs in created sapphires. 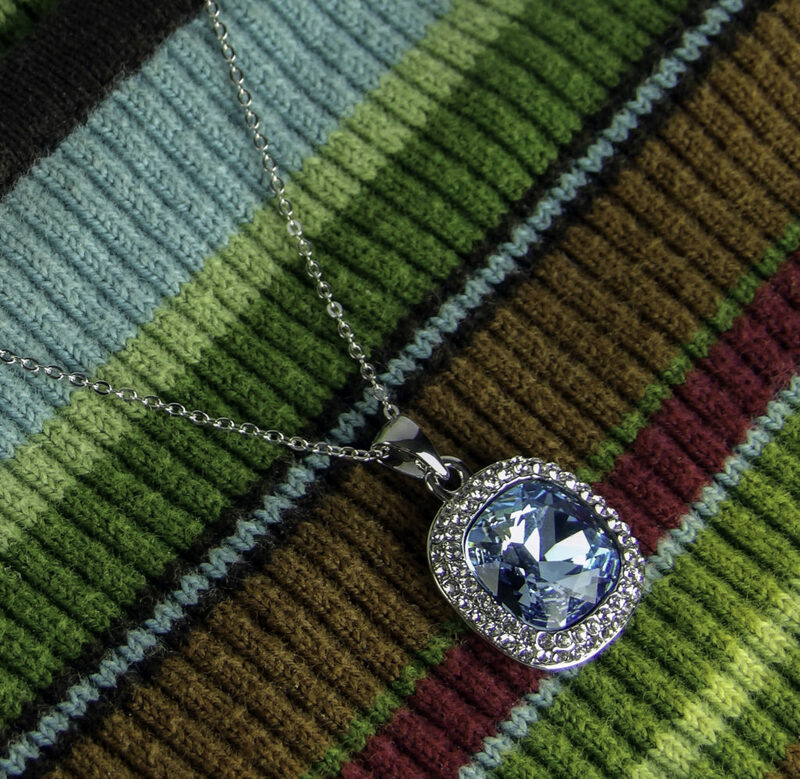 Mystic Topaz often cast small rainbow hues within the depth of the stone. 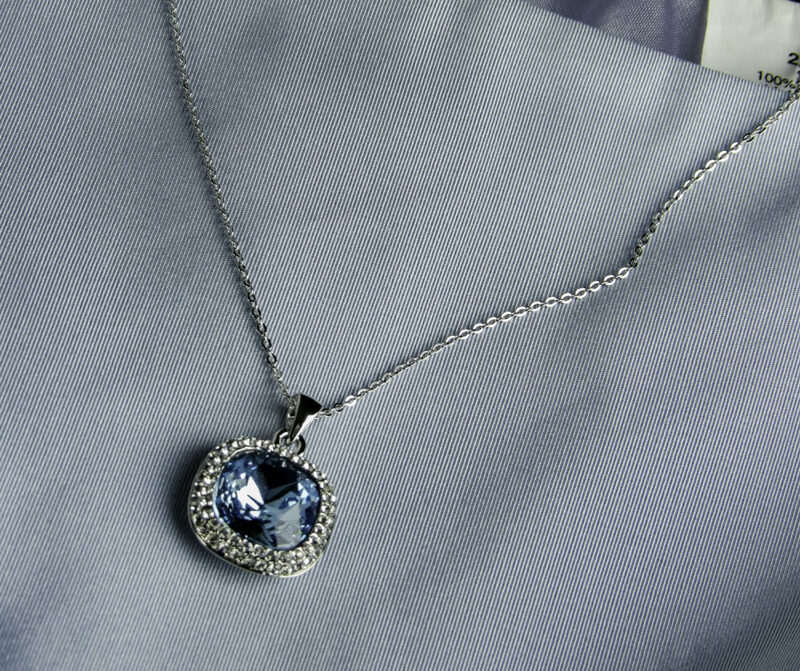 Its’ depth, sparkle, reflection, and the cut are more evident to the naked eye that is often seen in a natural sapphire. 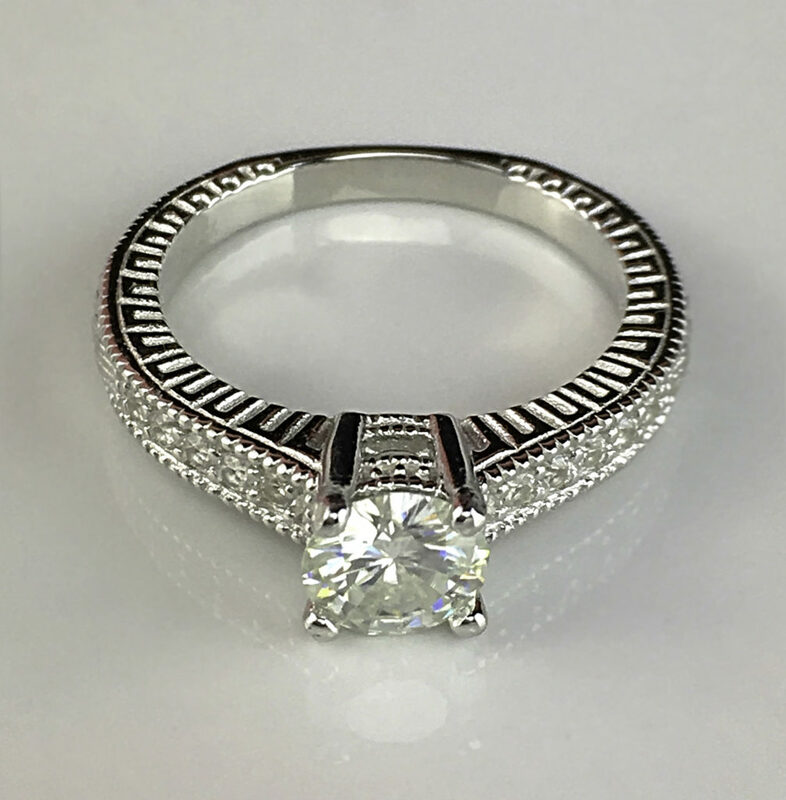 It is a 1.30 Carat natural stone with an oval cut held in a traditional four-prong setting. 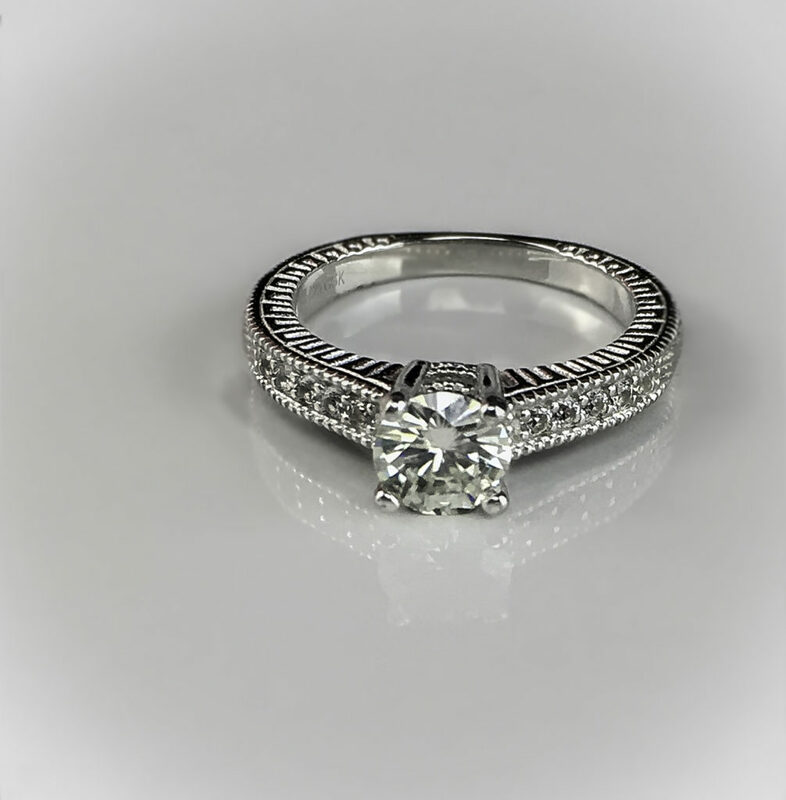 The oval cut allows for the cut style, brilliance, and sparkle seen on a round diamond but with a unique and flattering look. 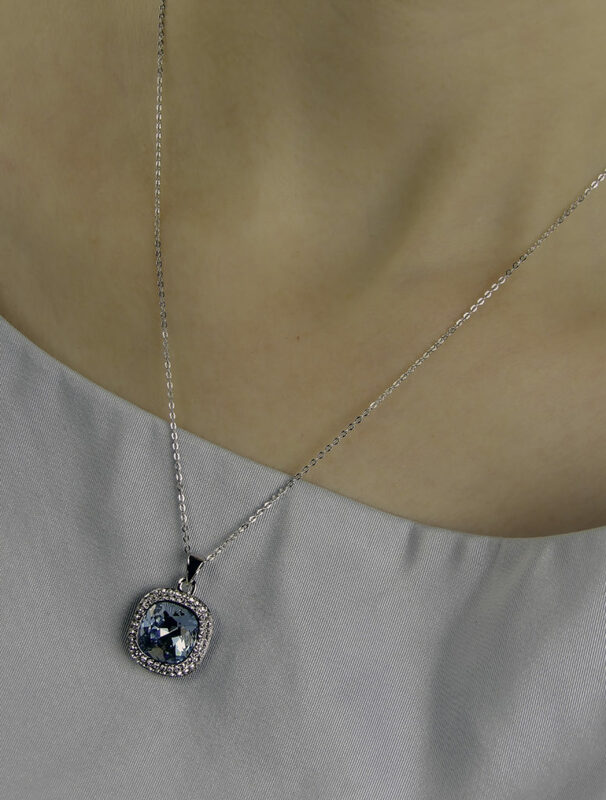 The twenty-eight side stones are natural diamonds that surround the focal stone in a halo. They are a combined total weight of 0.092 carats. The round cut maximizes the sparkle of each 0.05-carat diamond encircling the focal Topaz. These side stones catch a surprising amount of light and look particularly brilliant and sparkly when hands are in motion. The 17mm band is 10K White Gold that has a high shine and luster. 10K White Gold is highly durable which makes it ideal for a band that will be worn daily for years to come. 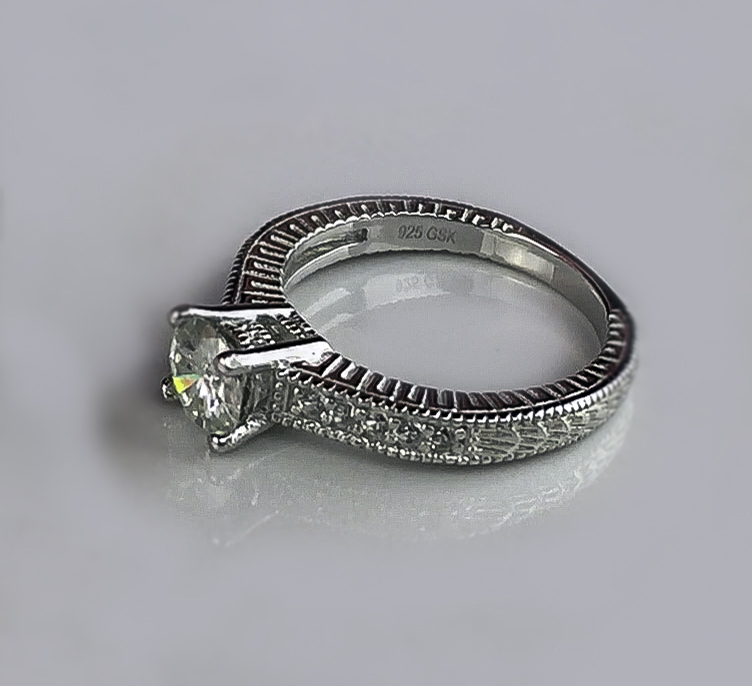 The appearance is smooth and shiny, sleek and modern but it also has a traditional engagement ring look and feel. 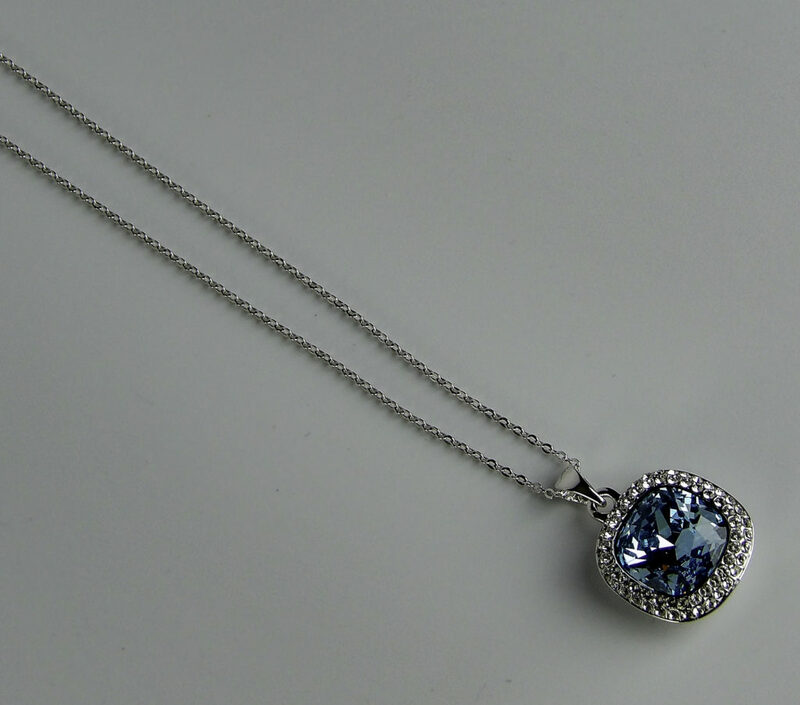 The white gold also enhances the cool blue tones of the gemstones. While this ring can be given for any special occasion or worn as a statement piece ring, it makes a lovely choice for a non-diamond engagement ring because it nods to tradition while still showing the personal unique style of the wearer. 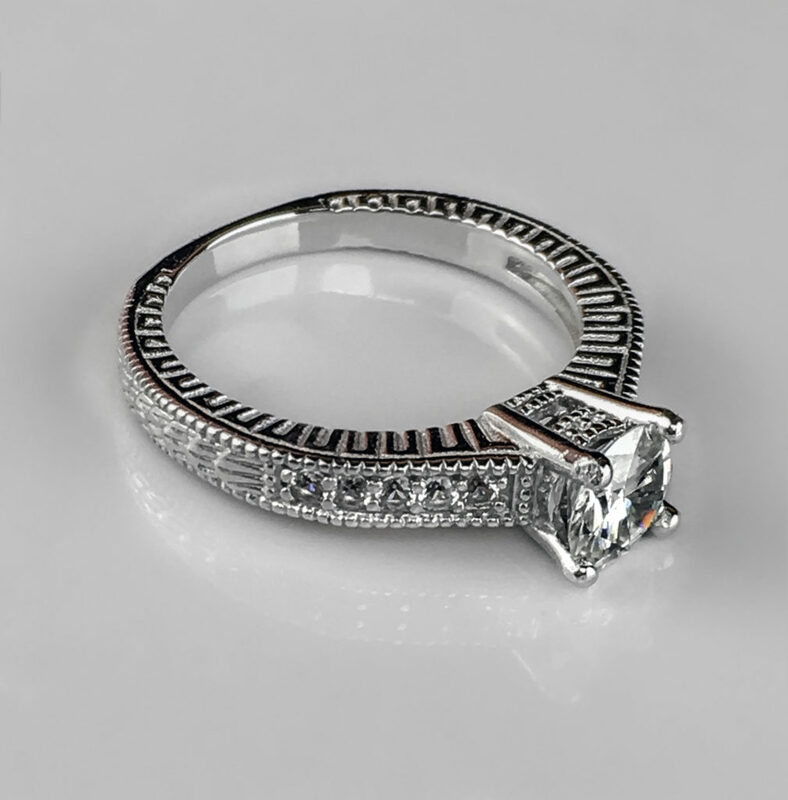 Also, the inclusion of diamonds as side stones still incorporates the traditional diamond into the ring. The ring comes in a double box gift presentation. The outer box is a white gift box with a gold Gem Stone King logo on the top. The inner box is a gold logo on a blue hinged ring box with velvet lining inside. 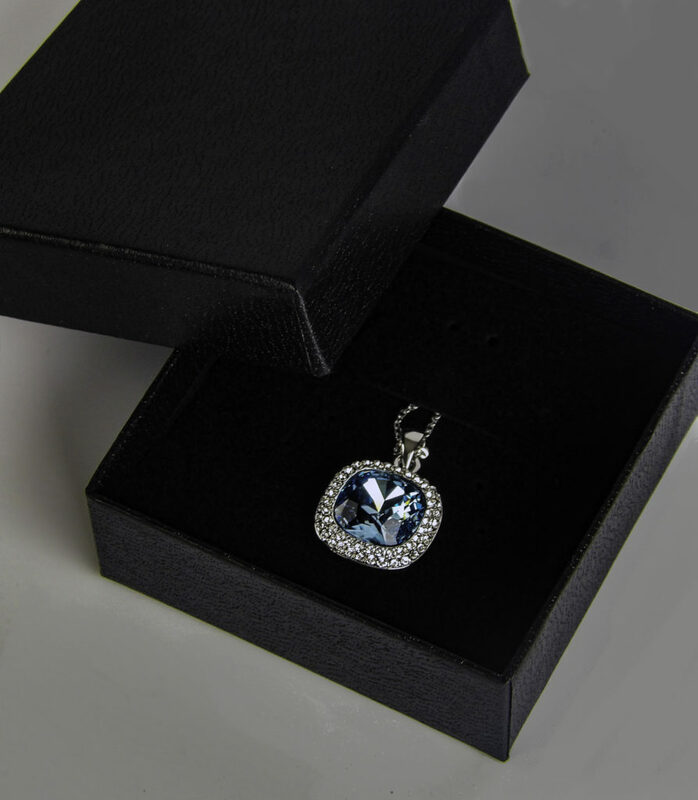 The ring comes in a small bag to keep it free of lint or damage while in storage or before the presentation of the ring. 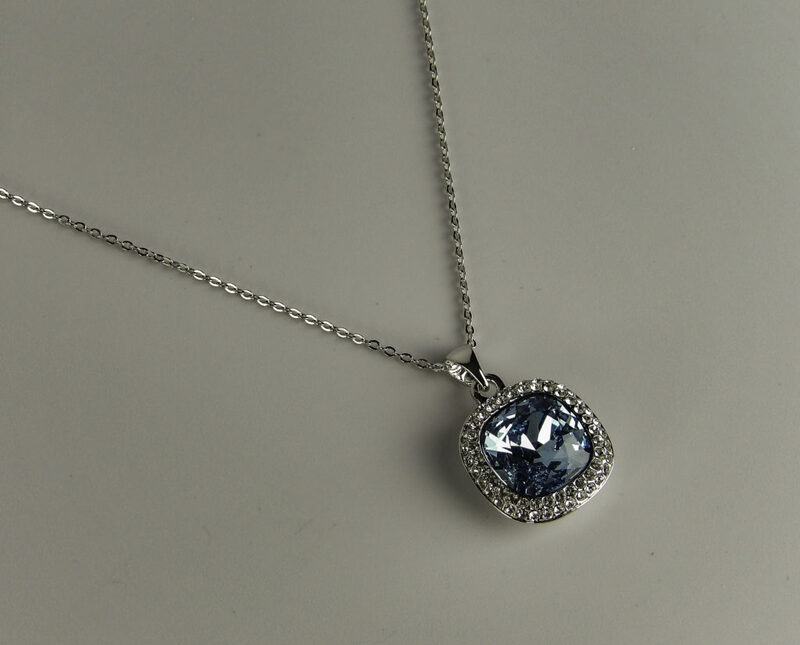 While buying jewelry online offers lower prices than brick and mortar stores, there is always some risk of the item getting lost or damaged in the mail. 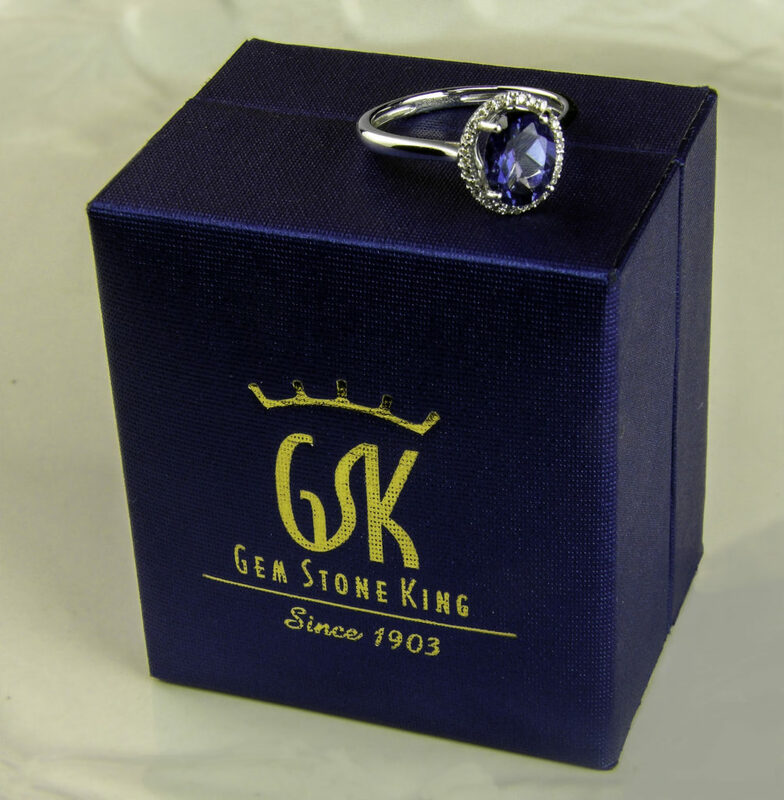 This Gem Stone King ring comes fully insured at no additional cost. This insurance protects you from any risk of damage or the loss of your item while in transit. 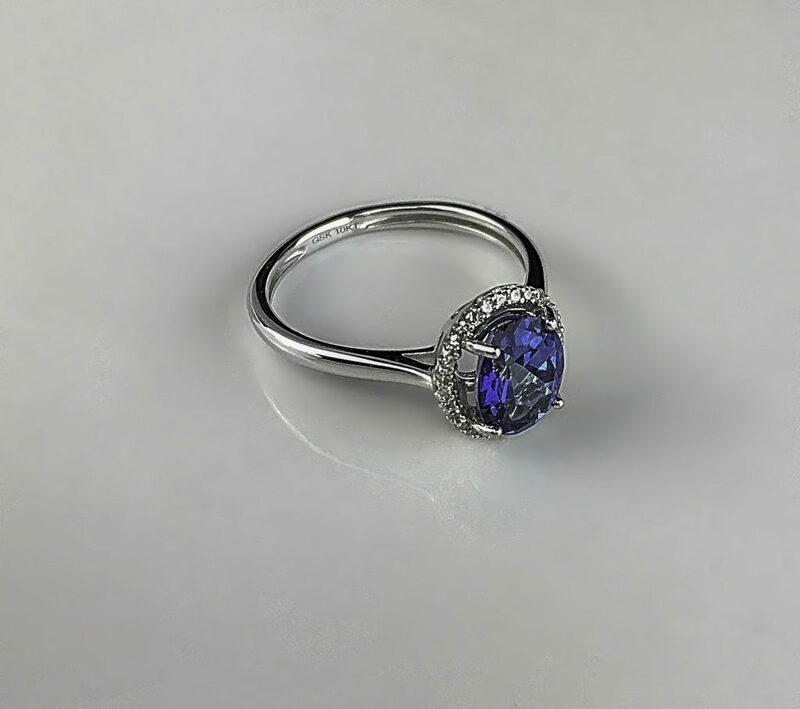 If you’re considering a blue gemstone engagement ring but want a naturally bright stone with more sparkle, this Gem Stone King ring featuring a 1.30-carat Blue Mystic Topaz makes an excellent choice. 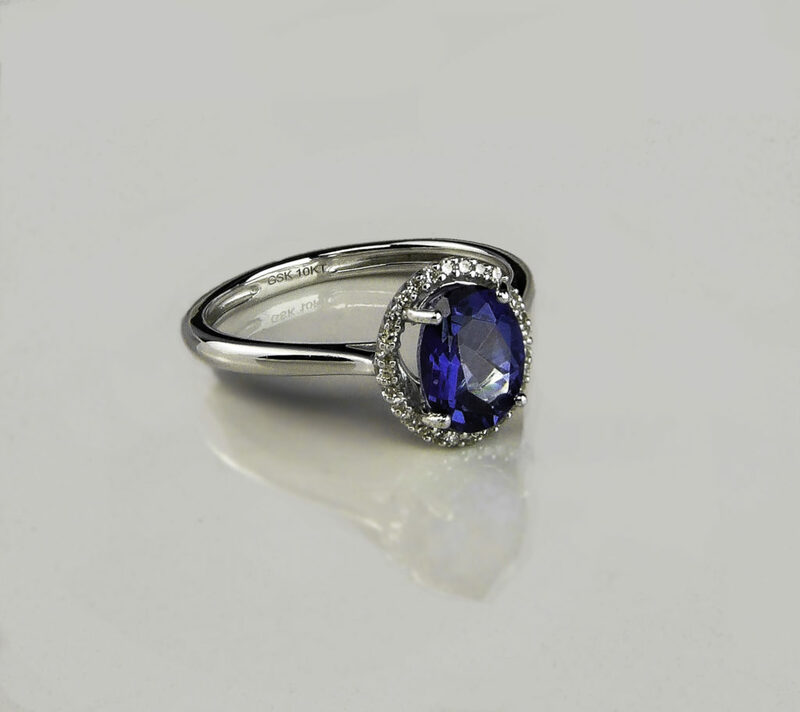 It is not an overly dark stone yet also doesn’t appear too bright like the intense royal blue hue of a created sapphire. 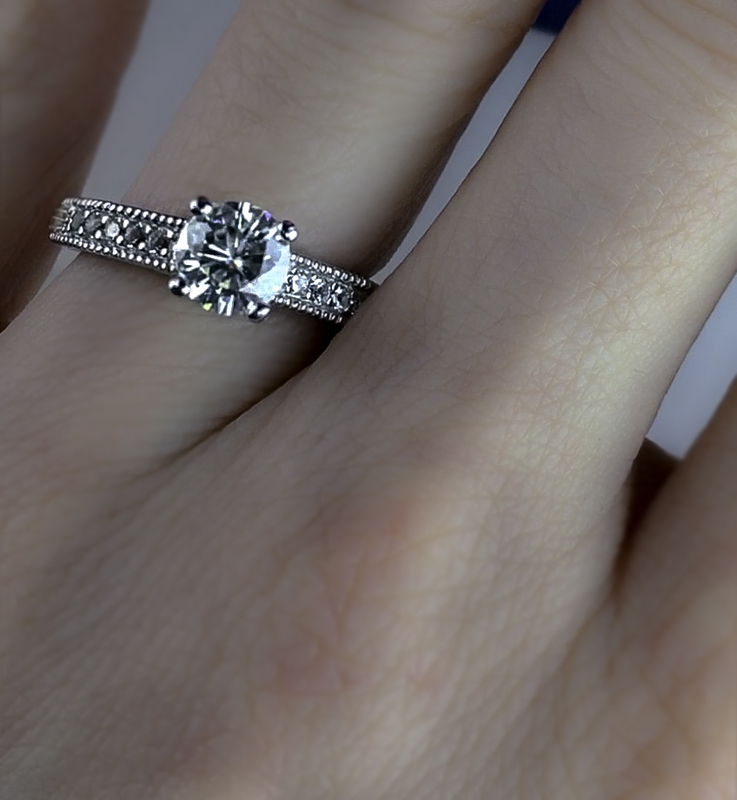 The halo of twenty-eight diamonds add sparkle and lend an elegant, traditional look. The diamonds are conflict-free. The 10K white gold band is durable and shiny. A modern yet timeless look durable enough to wear for years to come. 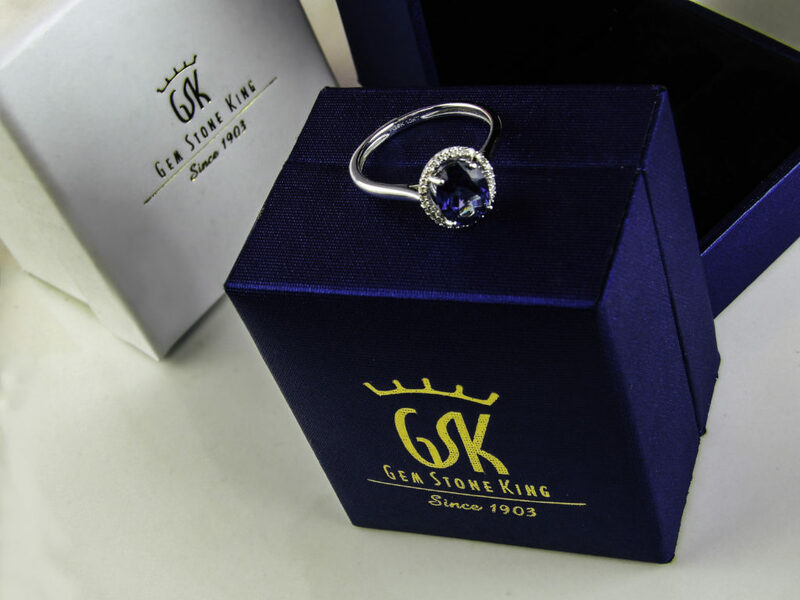 Style Chicks received the Gem Stone King 10K White Gold Diamond Halo Engagement Ring set with 1.30 Ct Oval Blue Mystic Topaz in exchange for our unbiased review and received compensation for our time and effort. However, our experience with the product and the opinions expressed in this review are 100% ours.